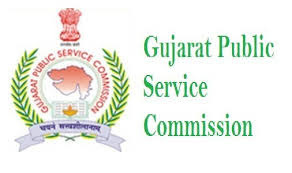 GPSC Recruitment 2016: The Gujarat Public Service Commission has also know as GPSC which has been released the advertisement to fill the 685 Deputy Section Officer & Deputy Mamlatdar post. The candidates who are looking for the latest jobs in Gujarat can apply the Gujarat PSC Deputy Section Officer recruitment 2016. The applicants must download the GPSC Deputy Mamlatdar notification 2016 to verify the eligibility criteria. The candidates who meets the eligibility details can apply the Gujarat PSC recruitment 2016. The Gujarat Public Service Commission has invites the application form from the eligible candidates. More information like age limit, educational qualification, how to apply, selection procedure, application fee, scale of pay and other details available here. If you want to latest jobs updates in Gujarat, then you must like our social page (Facebook, Goolgle+, Twitter & Linkdln). Name of the Commission: Gujarat Public Service Commission (GPSC). Deputy Section Officer: 485 posts. Content Name: Gujarat Public Service Commission Recruitment 2016. The applicants who have possess the graduate degree from a recognized university can eligible apply the GPSC Deputy Mamlatdar jobs 2016. The candidates have to pay Rs. 100/- for the application fee. Pay the application fee through the online gateway mode (net banking, credit card & debit card). The aspirant age limit must be not less than 20 years and not more than 35 years as on 20th July 2016. The upper age limit will be applicable for the candidates as per the govt rules. Open the official site gpsc-ojas.gujarat.gov.in . Read the GPSC notification 2016. Eligible candidates can apply the online application. Submit the application and save it. End date of application form: 20.07.2016. Gujarat PSC Recruitment 2016 Download Here. Upcoming & Latest Jobs in Gujarat 2016.